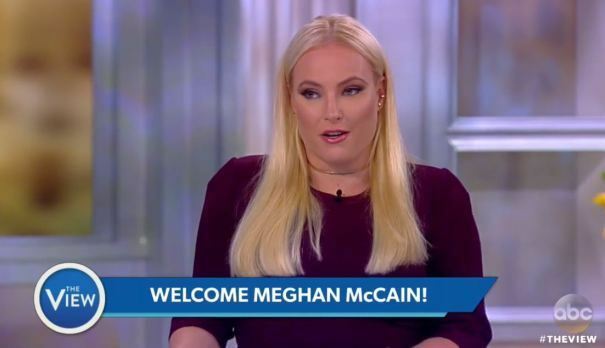 The importance of having a great digital TV was underscored last week for those that were able to see Meghan McCain turn colors as she claimed that Democrats unfairly malign Trump voters. The heiress who now has a daily perch on ABC’s “The View” turned visibly red as she denounced those who claimed that Trump voters were racist. A daughter of privilege, McCain, continued her rant with the now usual refrain that Democrats had ignored the economic interests of the white working class and therefore were responsible for the Trump juggernaut. While the McCain performance was great color TV the display of frustration was at the very best uninformed and at worst intellectually dishonest. While Heiress McCain was cooling off over the weekend her daddy voted for a tax bill that will ensure that she would be able to retain her future inheritance tax free, gave her and her mom a sizable tax break, and nicely arranged that the funds for the largess will come from those in the working class that she claimed as “my people” to the bemusement of her "View" colleagues. Note that those Ms. McCain accused of ignoring the working class, Democrats, all voted against the bill. While the real-time evidence of who ignores the working class should be embarrassing to Ms. McCain the historical evidence is not much better. Keep in mind that while the working class and middle class have definitely seen better days the legislative record indicates that Meghan's "people" have more to thank Democrats for than they do to her party of choice. During the recent debate about the repeal of Obama Care, there was one fact was reiterated almost daily. The inconvenient truth is that the majority of those who benefit from the most generous part of the health program are McCain's peeps. A View production researcher needs to remind McCain that her daddy voted against the bill that has made life easier and in some cases actually longer for working-class Americans that were previously uninsured. Senator McCain's vote aside nobody can miss the fact that it has not been Democrats who have worked over the past seven years to take health care from millions of working and middle-class Americans it is Meghan's GOP. Ms. McMcain is not the only pundit locked in the flawed and endless rabbit hole of accusing Democrats of ignoring the working class. Even storied "progressives" like Van Jones and intellectuals like Fareed Zakaria have echoed the inaccuracy. The myth of Democratic neglect was born within minutes of the realization that Trump had been elected to the highest office in the world. Van Jones's emotionalism, in fact, grew over the weeks and culminated when he momentarily fell into a type of media Stockholm Syndrome and teared up after Trumps State of the Union speech. While we are all frustrated and confused that years of injecting working-class voters with racist imagery and anti-intellectual propaganda has finally paid off for its brokers we cannot allow our passion to overcome our reason or facts to be overcome by myth. Democrats, while not perfect, have delivered the most economic benefits to working class people regardless of their race. Blaming Democrats for the GOP’s negligence of its own base is the only thing here that is worth turning colors about.